The SiTF Awards held in Singapore has announced their winning champions of the ICT industry. We are there first hand to see gold winners announced during the awards gala ceremony held at the Mediacorp theatre in Singapore on October 5 th 2016. More than a hundred start-ups were scrutinized and grilled by experienced judges from across the industry and only a handful managed to claw their way to the finals. One of our predictions, Spiking from Aly Pte Ltd took home the gold for the Best Innovative Start-up (Early Stage) and DynaOptics Pte Ltd was awarded gold for the Best Innovative Start-up (Growth Stage). Tan Boon Kok, Project Manager of DynaOptics exclaimed "Thank you to SiTF and the judges for this honor!” to Tech Storm when asked about how DynaOptics felt about their win. What blew us away were the number of amazing projects created by tender aged students from primary and secondary schools here in Singapore. I mean, what were you doing when you were 10 years old? Personally, I was watching Pokemon and figuring out how to get more pocket money from my father. Not the team from Fuhua Primary School who bagged the gold for the best innovative ICM student Project (Primary school) with their system of “learning music through play”. The runner up, Rosyth School came up with a program called “Coding a cyberwellness project” and their team members were actually able to code at the young ages of 10-12 years old. Other winners from schools include Raffles Instituition for “Lexi” and “Ri-Hand” for which they were awarded two gold medals, Nanyang Polytechnic for the “Emotional Analysis Buddy” and Singapore Polytechnic for the “NYX artificial intelligence service” for which they both took home golds as well. 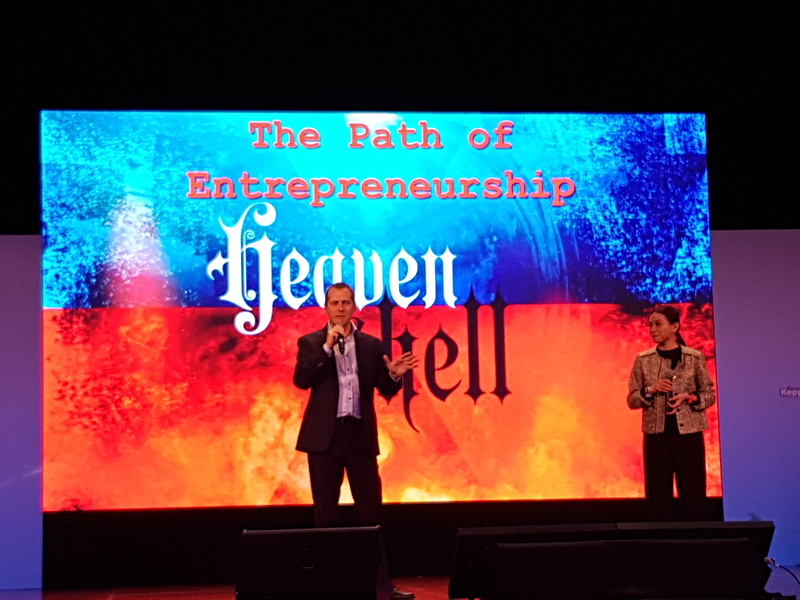 In addition to the awards ceremony, Sabrina Tan from Skin Inc and David Garpenståhl, Founder of Dreamhack and serial entrepreneur came on stage several times to impart their hard-earned experience and knowledge. Both speakers spoke at length about the struggles they faced, the immense amount of doubt and negativity from their colleagues, bosses and even families. They shared advice on how to overcome obstacles intelligently and to be tenacious in the face of adversity. The biggest takeaway I had, was Sabrina Tan recounting how she turned down a large investment offer due to her belief that the investors were not the right fit. She said that it might be tempting to accept investments but to take a step back and evaluate of you are entering into a fruitful partnership. More on our earlier stories SiTF Awards. What Apps Does Romeo Have In His Phone?